Dozens of remote communities throughout the Northern Territory are now benefiting from the integration of commercial and large-scale solar power under SETuP. 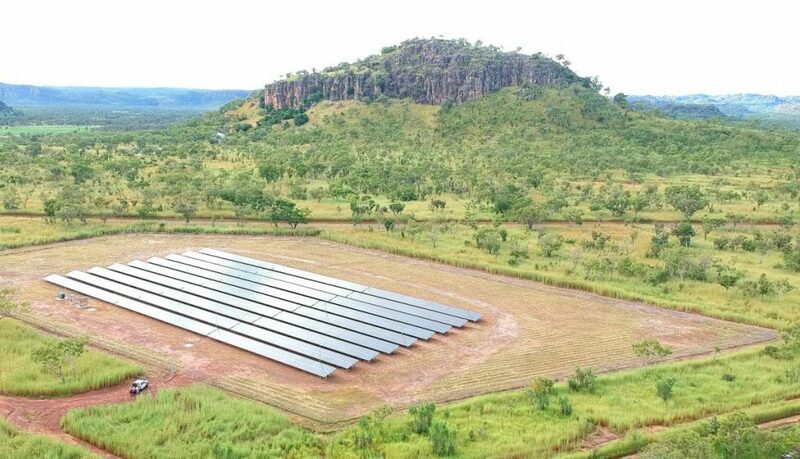 A $59 million initiative co-funded by the Northern Territory Government and the Australian Renewable Energy Agency (ARENA), the program was delivered by Power and Water Corporation and saw solar power systems installed at 25 sites across the Territory. The original goal was 30 sites. Approximately 10MW of solar PV was integrated in remote locations with existing diesel-fuelled power stations, creating hybrid generators. While also improving energy security, the primary goal of SETuP is to slash diesel use by 15% in most of the beneficiary committees, which will see up to 94 million litres of diesel savings over the 25-year lifespan of the program. It’s been a very costly program given the number of locations and total capacity installed, but some of this can be put down to the remoteness of the sites and the complexities involved with constructing facilities on Aboriginal land. One of the standout projects was the 1MW Daly River PV facility, which features 3,200 solar panels and a 2MWh Samsung lithium-ion battery system. Daly River was the first community in the Northern Territory to reach 50% renewables and the solar farm is expected to reduce diesel consumption by 400,000 litres a year. ARENA CEO Darren Miller says communities involved can now boost their uptake of renewables and have the future option of adding batteries to store surplus energy. SETuP is part of ARENA’s Regional Australia’s Renewables – Community and Regional Renewable Energy (CARRE) Program, which is now closed for new funding applications.